Thousands of you read Cool Earth’s news pages last year. In a year of biodiversity, Bolsonaro and Burberry, here are your top 10 stories of 2018. Hundreds of authors reviewed thousands of scientific papers to present the IPCC report in October. It’s yet another wake-up call. Just half a degree is the difference between a world with rainforests and coral reefs, and a world without them. August 1 2018, was Earth Overshoot Day. Humans used up a year’s worth of the planet’s resources in just seven months, 1.7 times faster than the rate at which they can be renewed. We don’t have 1.7 Earths, we only have one, and we need to protect it. WHY IS PALM OIL BAD FOR THE RAINFOREST? We consume palm oil daily, in more than 50% of products on supermarket shelves. It’s a super-efficient oil, but its production destroys vast swathes of rainforest. How many of the 1100 names for palm oil derived ingredients do you know? Instead of resorting to insult slinging, this guide gives an idea of what to say when someone brings up a myth surrounding climate change. The facts are irrefutable. Read this for a couple of stock responses to keep up your sleeve, and help change hearts and minds. In December, all donations to Cool Earth were matched by a generous donor. This meant double the money goes to rainforest communities determined to keep their trees standing. More of you than ever championed those who can make a lasting difference. Rainforest protects soils, reflects heat away from Earth, preserves wildlife and stores vast amounts of carbon. The world’s remaining rainforests need to be protected. Getting them back to their natural, complex state would take hundreds of years and billions of dollars. Commonwealth nations are home to a fifth of the world’s forests. That’s one reason why The Queen’s Commonwealth Canopy was created. 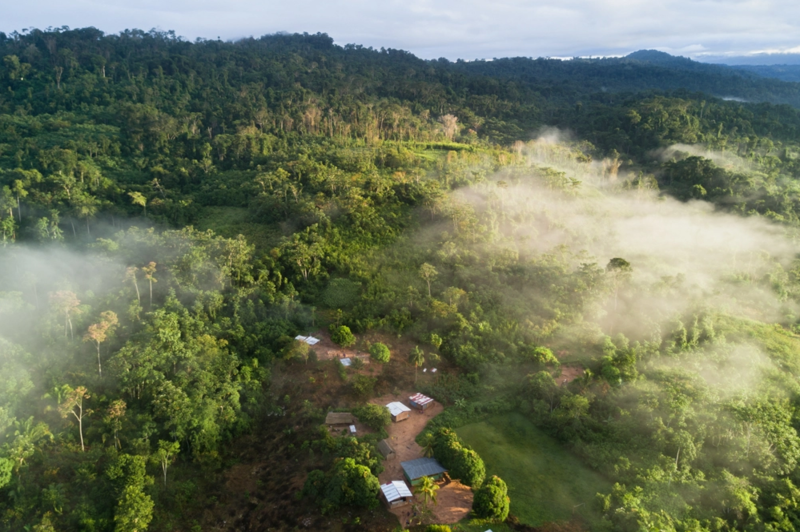 Cool Earth is proud to have played a key role in the project, which includes our partnership in Wabumari, Papua New Guinea. Humanity’s existence is only possible thanks to a huge variety of wildlife. But mass extinction of biodiversity is a very real threat. We are losing around 50,000 species a year due to deforestation. July saw the announcement that iconic British designer and Cool Earth Patron Vivienne Westwood was to collaborate with Burberry. The collection is in support of Cool Earth’s work to halt deforestation and climate change. “Where there is indigenous land, there is wealth underneath it” was just one of the unsettling statements made by Bolsonaro during the 2018 Brazil elections. We must support the indigenous communities keeping millions of plants and animals safe. The post Your top ten read stories of 2018 on coolearth.org | Biodiversity, Bolsonaro and Burberry appeared first on Cool Earth.